Instagram, with its 1B+ monthly active users users, is one of the most popular social media networks worldwide, and can be used as an impactful advertising channel. On average, it provides brands with 25% more engagement over other social media platforms. Correctly using Instagram to build a following for your business can help increase sales exponentially. In this post, learn the best tips and tricks to increasing engagement and growing your following on Instagram. Companies on Instagram have two primary goals: engaging their existing audience and gaining new followers. The former is satisfied by posting interesting content, while the latter tends to be more challenging. One way to get new followers is using the right hashtags on your posts. That way, when people search Instagram for those specific hashtags, your images will show up, driving traffic to your profile. So which hashtags should you use? As with other social media sites, certain hashtags are used more than others on Instagram. If you use the most relevant, popular hashtags, new users will be more likely to discover you on Instagram. Chances are, none of those hashtags apply to your product directly. Although using popular hashtags may bring you more likes on a given photo, it will not provide quality long-term engagement and new followers. To properly hashtag your photos, you must find the most relevant and moved used hashtags on Instagram relating to your product. This involves doing keyword research to find what hashtags best describe your product, as well as your entire brand. There is a variety of online programs, including IconoSquare and Webstagram, that will help you find the most relevant hashtags. Before settling on a list of hashtags to use with your posts, you should search for a variety of different keywords to make sure you’re finding the most commonly used ones. Instagram places a limit of 30 hashtags per post, so use them wisely. In addition, the most relevant hashtags may change over time so you should check back every few months to ensure that you’re using the most relevant ones. One great trick is to have a set list of hashtags that describe your brand saved in a note on your phone to be conveniently copied every time you post a photo. In addition to those overarching hashtags, you can add a variety of product-specific hashtags to each photo. If you haven’t already been adding a variety of hashtags to your photos, don’t worry; you can still go back and add comments with relevant hashtags to older photos. Hashtags, though important, are not all it takes to become successful on Instagram. Filters are also an essential part of using Instagram, and some create more positive reactions from users than others. One recent study on Instagram accounts found that photos that used Mayfair, Inkwell, or no filter got the most interaction from users. The timing of your Instagram posts is just as important as the content you’re posting. One way to optimize this is by using IconoSquare, which can analyze which posting times have generated the most engagement. This tool will also advise you which days of the week and times of day and best for posting. A great way to attract new followers is to engage with the Instagram followers of your closest competitors. Since they have interest in the types of products you produce, they’re more likely to be interested in your brand as well as the competition. 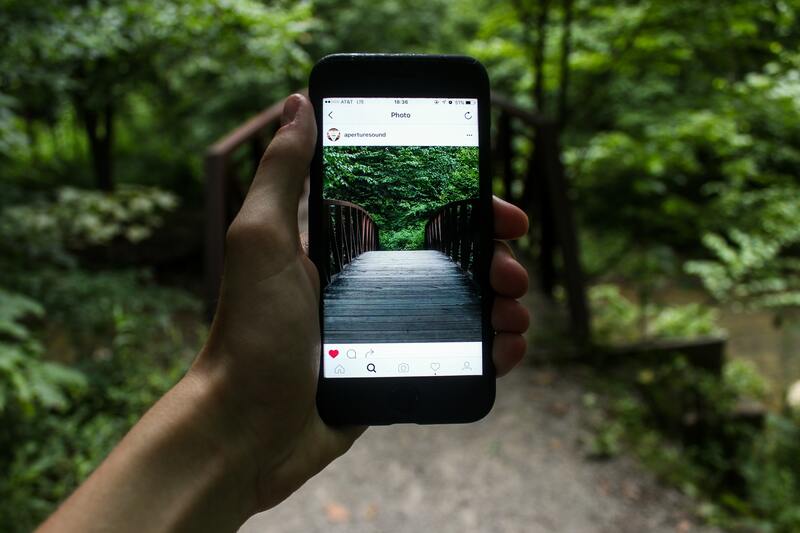 There are three ways to engage with users on Instagram, and the more you do, the more likely they are to engage with your account in return. You can follow a user, like their photo, or comment on their photo. For the highest chance that a user will follow you back, you should follow a user, and like and comment on one of their photos. This should increase followback rate by about 20%. See how we do it with @fluxchargers on Instagram.